George R.R. Martin might be many things, but he isn’t a slouch when it comes to generating words for his books. This includes any companion pieces that may come along, such as The World of Ice and Fire: The Official History of Westeros and The World of A Game of Thrones, for which he wrote 250,000… that’s 5 times what he needed. Holy crap. 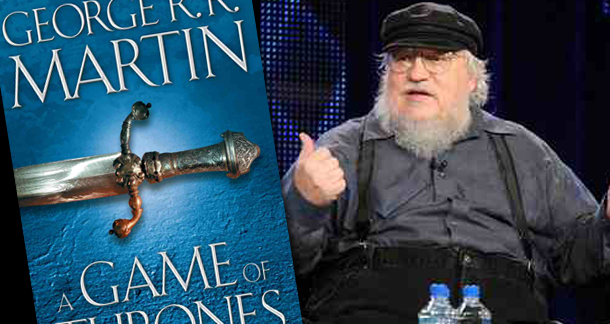 Speaking about his series and Game of Thrones on a panel at ConQuest 44, Martin revealed these details about his contribution to the upcoming book (recently delayed by a year) which will be released in Fall 2014. “But what about all that extra material?” I hear you ask. Don’t worry, the extra words aren’t going to go to waste, no sirree. Right. A Song of Ice and Fire isn’t yet complete but he’s written 250,000 words about the world and the lore behind it. I’d have to agree with Moher’s observation: “He writes a lot of words. They just aren’t the words that a lot of his fans and followers necessarily want him to write.” Would you agree? Should he knuckle down and finish the damn series? I’m not going to say yes, but I’m not going to read the series until he’s bloody-well finished it. He can write whatever he wants. The guy obviously loves world-building. He is just enjoying the world he created. People need to get off his back about it. I was at ConQuest 44. It was a good time. We had Patrick Rothfuss there, as well. Finally, proof postive that one can claim GoT being like LotR, but more epic, now that one can hold up a book and call it Martin's version of the Silmarillion.